Welcome to our online tile shop blog! Here at Trade Price Tiles we are are passionate about offering the best quality tiles at prices only the trade would normally pay. Here in our blog you can find DIY tiling tips, tutorials, industry news and special offers on our quality tiles. We really appreciate your feedback so please do comment on our posts. If you have been wondering how best to give the illusion of space within your bathroom, we think we can help! This post explores the tricks and tips to make the most of your existing bathroom space when choosing tiles and accessories. If you’re planning on fitting your own bathroom wall tiles, then it’s always best to gain some expert advice first – and where better to start than right here! 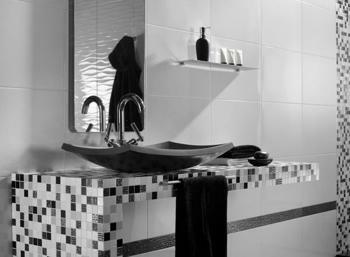 Thinking Of Fitting Your Own Bathroom Wall Tiles?